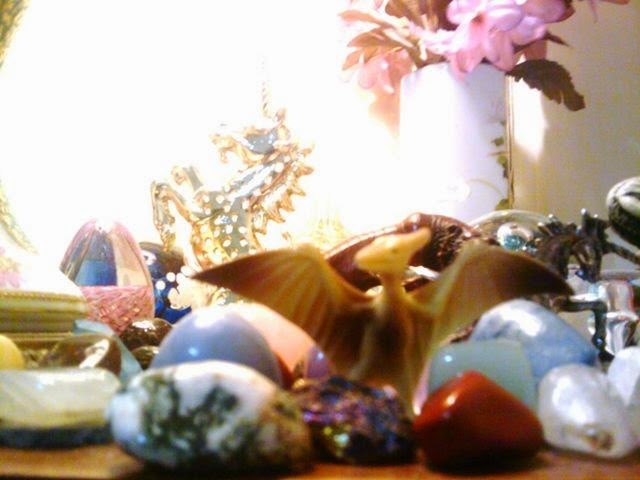 Tarot Dactyl: There's a Rock for That! I'm excited to announce that I will be hosting a new radio show on Rainbow Psychics Radio! The show is called "There's a Rock For That!" There are so many books, resources, and theories when it comes to working with crystals, gemstones and rocks. You read one book and think you have a handle on it, until you pick up another which teaches an entirely different approach. For me, experience is the best teacher of all. That's why I'm excited to do this show where I can share what I have discovered and learn from others too. My hope is that through the show's chatroom and calls to the show, we can exchange ideas and explore the vast and wonderful world of rocks together! The first episode of the show will air live on Rainbow Psychics Radio on blogtalkradio.com March 20th at 4PM EST. I hope to see you there!